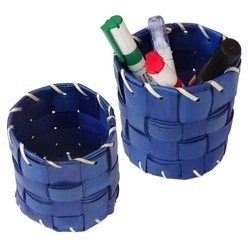 We are a leading Exporter of slip pad with pen stand, collapsable blue pen stand, slip pad with pencil, magazine rack, leaf impression paper slip pad and stationery set with pencil from New Delhi, India. Our wonderful and high on utility range of desktop accessories encompasses many functional products such as paper pen stands, paper slip pads, collapsible pen stand, stationery set etc. 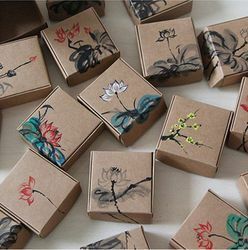 All these handmade pen stand and handmade slip pads are crafted with various textured and decorative handmade papers which lends our comprehensive range beauty and appeal. These masterpieces can blend well with casual & formal surroundings. 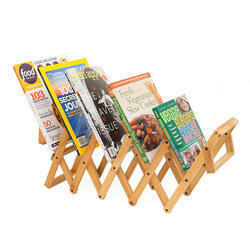 Size Available(In Inches) 5" x 9"
This magazine rack crafted in cardboard is perfect for the display, organizing and storage of magazines, books, reports and desktop accessories in leather and paper. 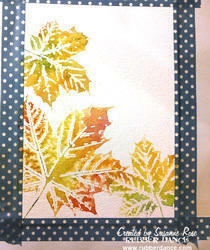 We are the leading manufacturers and suppliers of the Slip Pad In Leaf Impression Paper. We Deal in different varieties of Stationery set with pencil, desktop accessories in leather and paper. 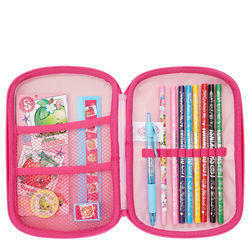 We are the leading manufacturers and suppliers of the Stationery Set With Pencil.